Have you ever seen a tree like that before? Tell me about it. When students are finished, allow their work to dry completely before displaying around the classroom or putting them in the student’s portfolio. Observe and record the student’s fine-motor skills during the activity. 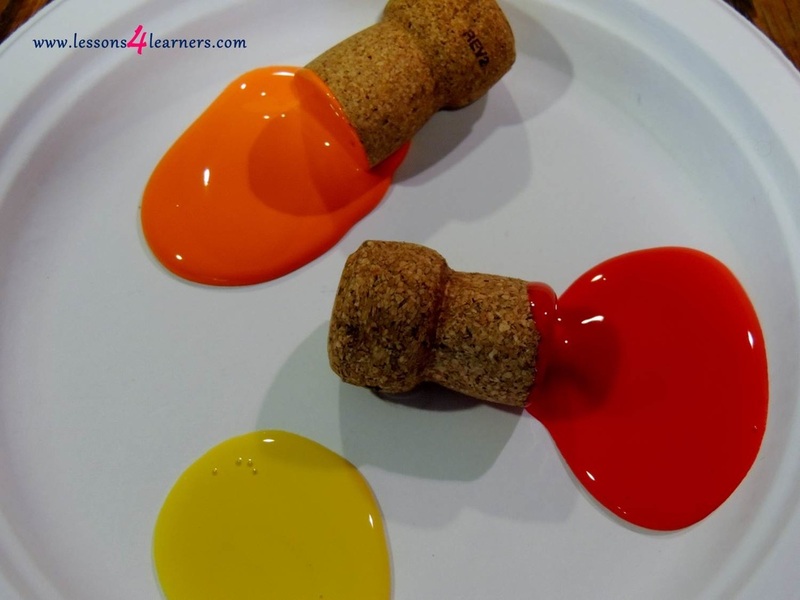 How well did they control the cork when stamping? Record what the student had to say about the activity and finished piece as well. Children are often capable of more than they are allowed. Certain preconceived notions may inhibit a teacher’s comfort level with independence for the children in his or her care. One of the simplest ways to incorporate Montessori elements in program planning is to first begin with setting children up for success with independent habits. Place coat hooks near the door and at eye level for the children. Provide step stools for hand washing. Ensure that learning materials are easily accessible for all children. Teach the children to take their coats off and hang them up themselves each time they enter the classroom. Do not do it for them. If they forget, simply give them a gentle reminder. Create consistent routines for all children to adhere to. They will know what comes next and how to adapt and will make positive choices. Give students small crumb sweepers and dust pans to clean up their mess. Keep scissors and sponges on the lunch table for older children for cutting bags of snacks and cleaning up lunch spills.